We’ve seen a lot of cool cosplay and we’ve seen plenty of Iron Man getups, but this is the coolest and most advanced Iron Man cosplay I’ve ever seen. This here is the Iron Man MK 39 cosplay. 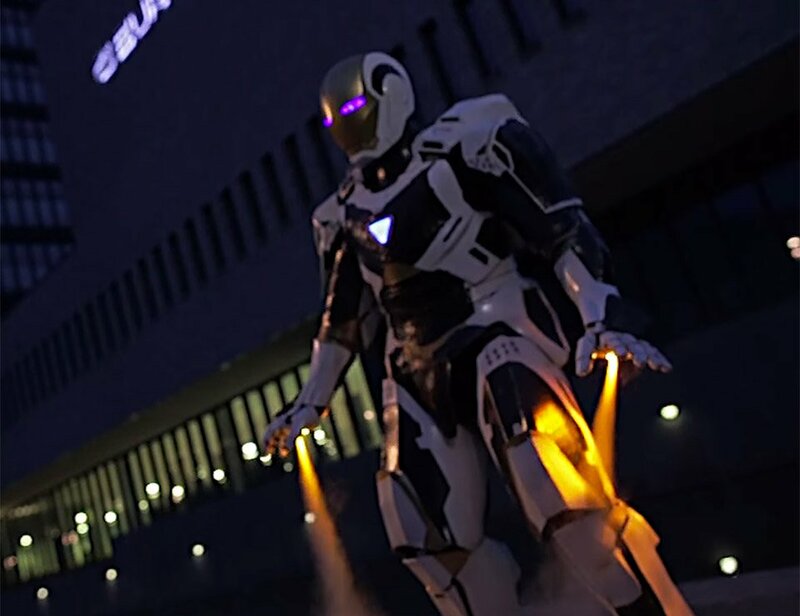 The suit’s highlight has to be the illuminated, CO2-powered thrusters that were built by Wayne Berendhuysen of EHV Props. You can see them action in the video below. Just watch those jets fire. That’s how you do Iron Man! Even Tony Stark would be impressed. Then he would have a drink and tell Jarvis to get the creators in his office to give them a job designing suits for him.